We offer in house design and manufacturing teams, we are able to offer some unique things that other companies cannot. 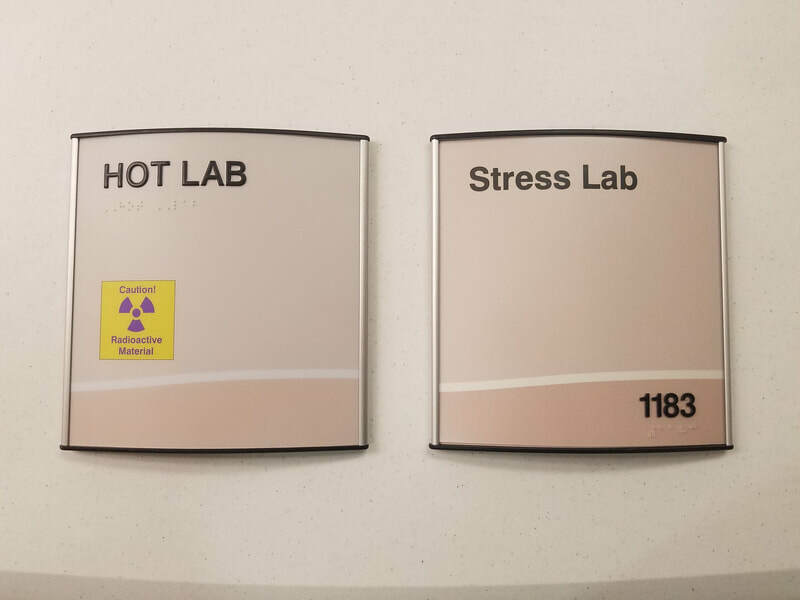 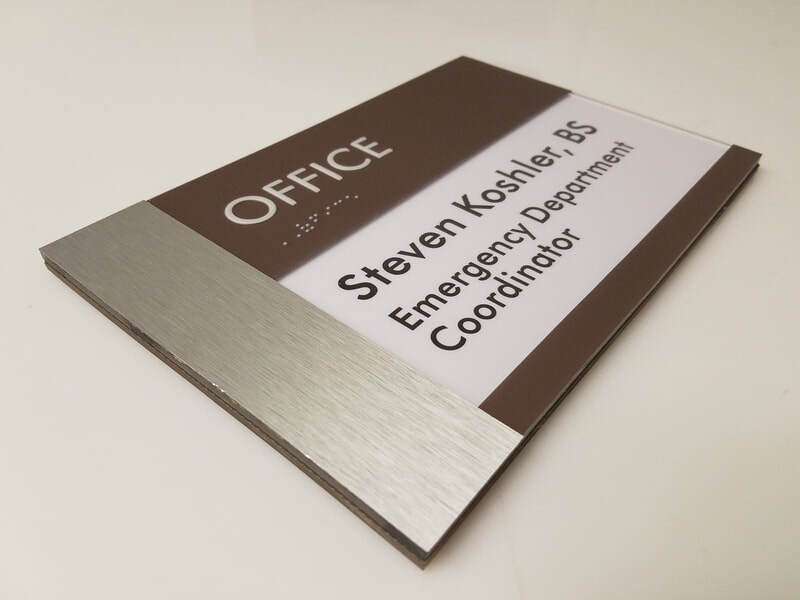 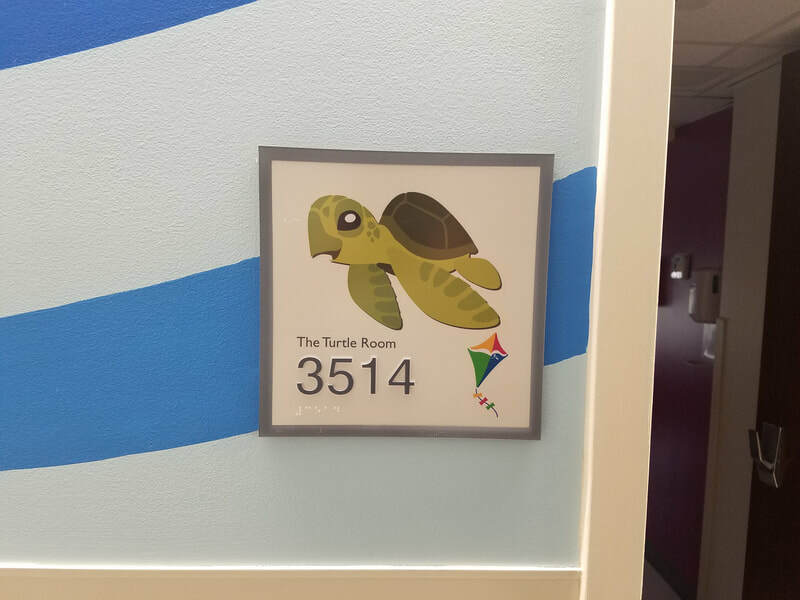 We are able to work together with the client to customize new designs, we can closely match your current facility signage or we can work together to customize a sign system you have experience with like Vista Frame System. 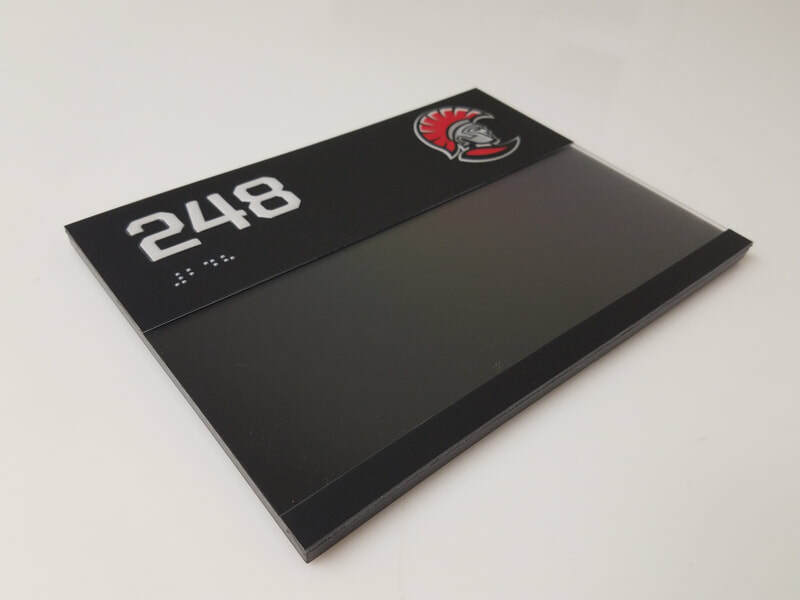 We are an authorized vendor and can custom design and produce the frame inserts for your facility. 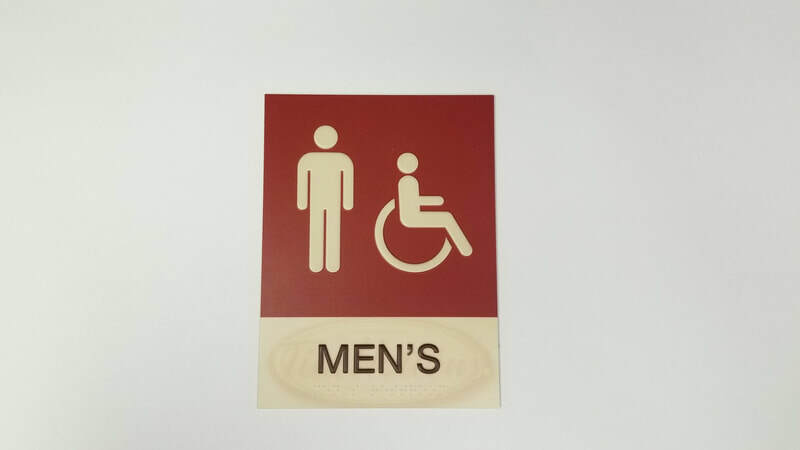 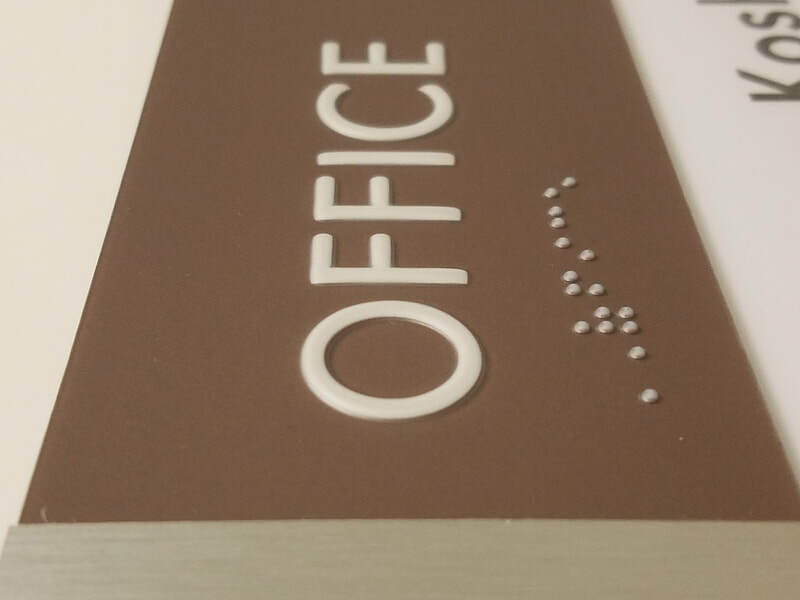 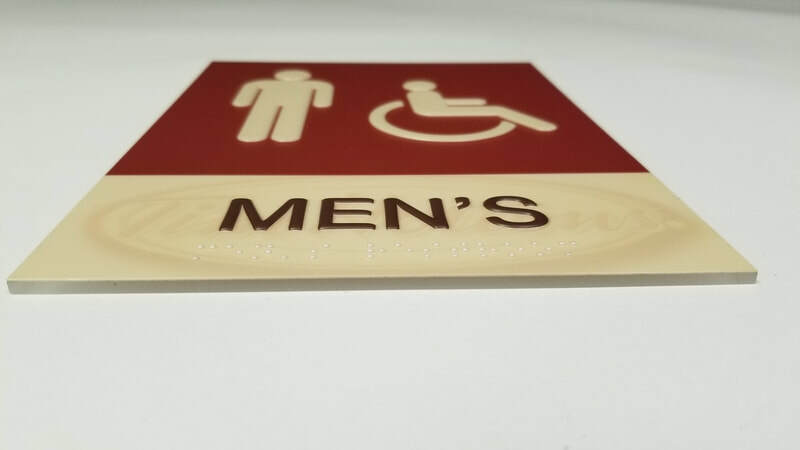 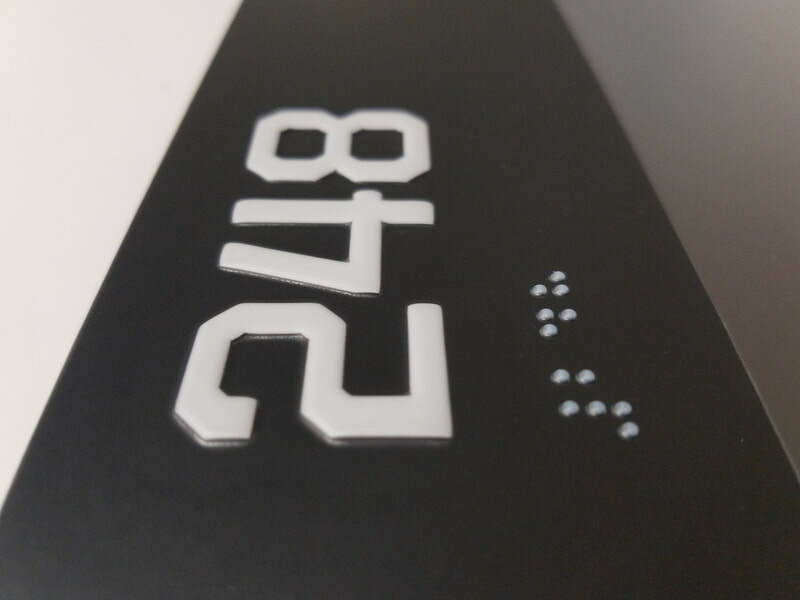 Currently offering two types of braille signage: Engraved ADA Signs with Raster Beads and Encapsulated ADA Signs with Domed Tactile Braille. 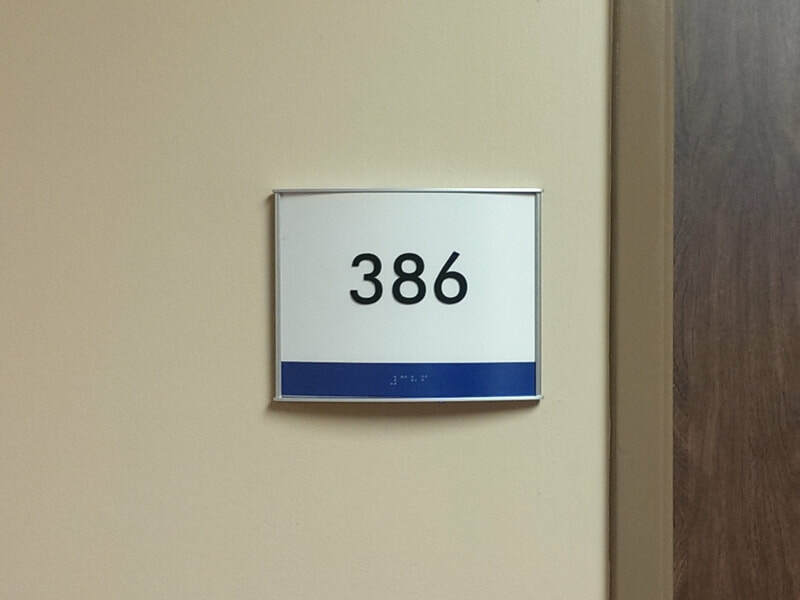 We believe the best strategy is to partner with you to develop the system that best fits your facility.